Are you new to Vacation Rentals? 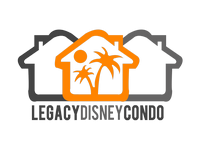 Do you want to know more about Legacy Disney Condo or how is the booking and payment procedure? Browse our Frequently Asked Questions, if you do not find your answer here, ask us! A vacation rental is a self-catering lodging option for travelers, and can consist of a variety of accommodations types: homes, apartments, condos, and the like. Typically, vacationers book a rental through an individual property owner or a property management company. Rentals are fully furnished, usually feature equipped kitchens, and may have extras such as a pool, a hot tub, a deck, etc. Vacation rentals are found everywhere in the world, from ski chalets to high-rise apartments, oceanfront bungalows to quiet country estates. 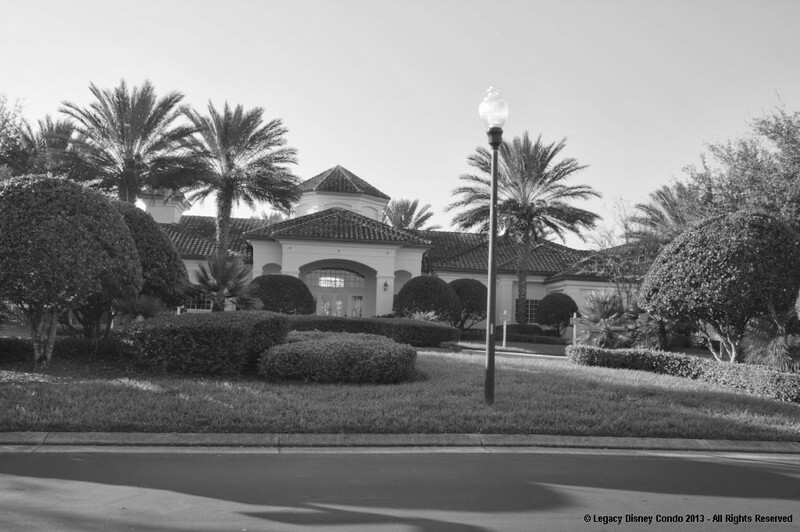 Legacy Disney Condo is rented by their owners and locally managed by a management company. We provide a completely equipped two bedroom / two bathroom apartment in a very well located resort, full of amenities, close to the major attractions and restaurants in the Orlando / Kissimme area in Florida, US. How does a Vacation Rental differ from an hotel? Because a vacation rental is a type of home that is being rented out, a vacation rental typically gives travelers a lot more space for their money. They are ideal for groups: one rental can accommodate everyone in a group under one roof and price, rather than the group having to reserve and pay for several hotel rooms. 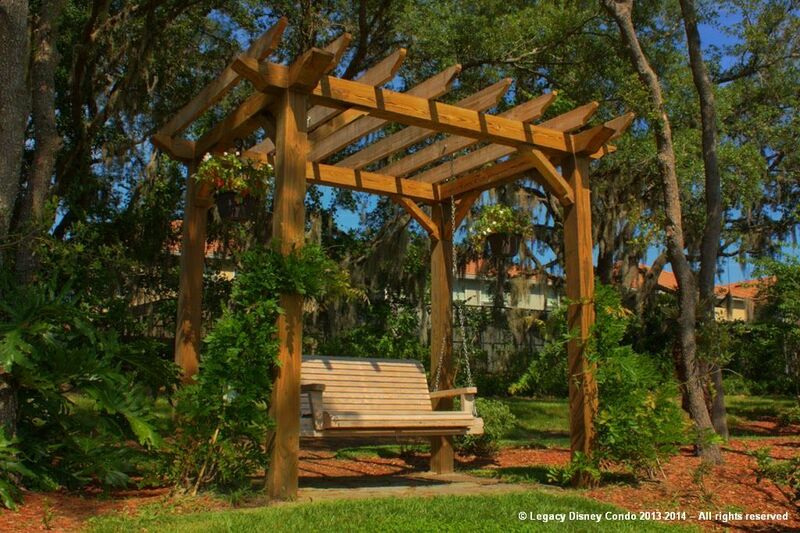 Legacy Disney Condo provides accommodation for up to six guests in The Grand Legacy and up to four in The White Dunes. A self-catering establishment provides a self-contained unit offering clean, comfortable, furnished accommodation for visitors who are also provided with the means to cater for themselves, prepare and cook their own meals. When in a self-catering vacation you have to provide many of the things you need (such as food, paper products, soap, etc). At Legacy Disney Condo we provide a starter supply of toilet paper, soap and a welcome basket with coffee, tea, sugar, cookies, milk, chips, etc. Possibly you will also find some supplies left by a previous guest, like dish-washing detergent, cooking seasoning, etc. Once this starter supply runs out, you will have to purchase and supply what you require for the rest of your stay. Transactions are a little different from hotel bookings: We have a rental agreement, agreed upon and electronically signed by the traveler, before money changes hands. Our rental agreement stipulates all terms of the rental, including length of the trip; price; security deposits; check-in and check-out procedures; policies for cleaning, pets, smoking and the like; and other applicable requirements. Vacation Rentals are an incredibly good value for your buck. In addition to the extra space (Legacy Disney Condo provides two bedrooms both with in suite bathrooms and walk-in closets, living and dining area, and a screened balcony), you'll also get a fully equipped kitchen. The option to cook your own meals offers savings over expensive restaurants. Also, you have full and free access to all the facilities at the resort were our apartments are located: two pools, one of them heated, fitness room, tennis, basketball and beach volleyball courts, club house, kid's play area and golf cage. What should I watch out for when renting a Vacation Rental? Make sure the property owner or manager is reputable and that the property is in the advertised condition. Be sure your rental agreement stipulates any areas of concerns, such as return of security deposits, any applicable fees, cleaning responsibilities, additional charges for extra guests, pet policies, etc. If you have any questions or concerns, address them in writing before putting down your deposit. You may also want to look into travel insurance to protect your vacation. 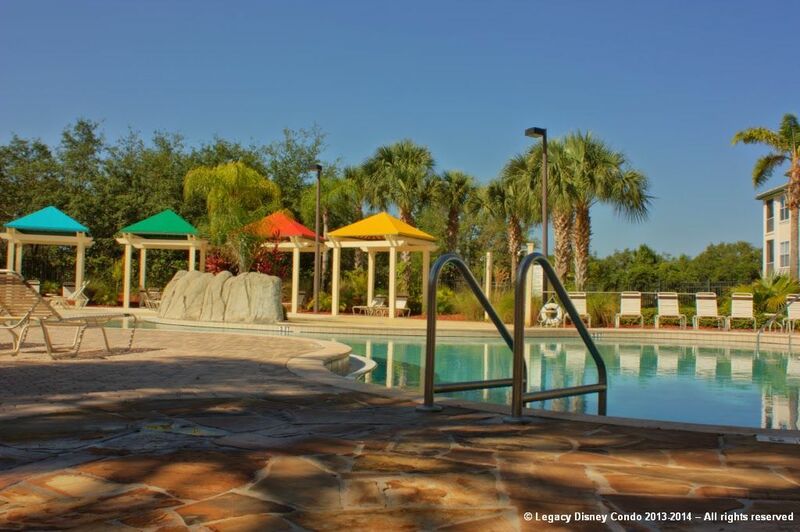 At Legacy Disney Condo we guarantee what you are getting is what you see in our website, we are always available for addressing all your questions and concerns and our rental agreement is very comprehensive covering all aspects of your stay with us. We strongly recommend to rent a car for getting the most of your Orlando vacations. 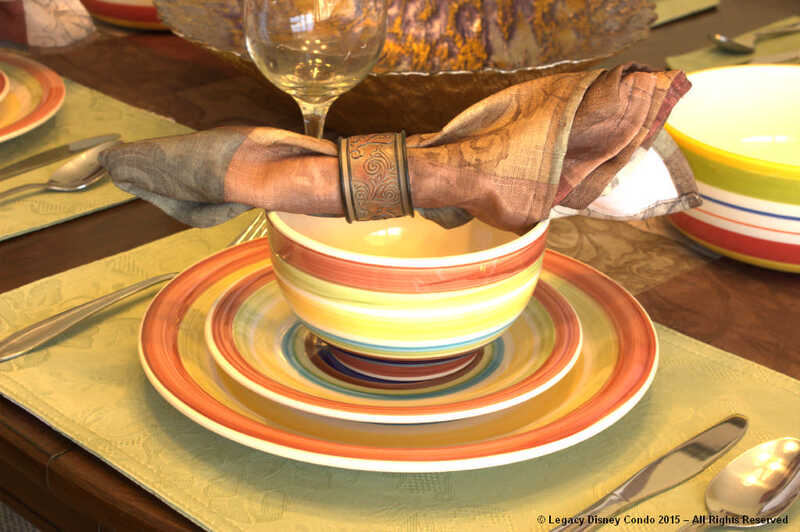 Even if Legacy Disney Condo is very close to all attractions, restaurants, supermarkets, etc. distances cannot be covered by walking (except perhaps for the convenience store located in the RaceTrac gas station at US 192 and Legacy Blvd junction). You can check with Mears Transportation for limousine service from/to the airport and the theme parks, but again, your best option is renting a car. For people coming to Florida or the US for the first time we recommend to rent from a big, reputable car rental company. Be sure to compare the total price of the rental among different companies, including all taxes, insurance and fuel fees, etc., and the services included in the rental. Is there parking, and if so, how much? 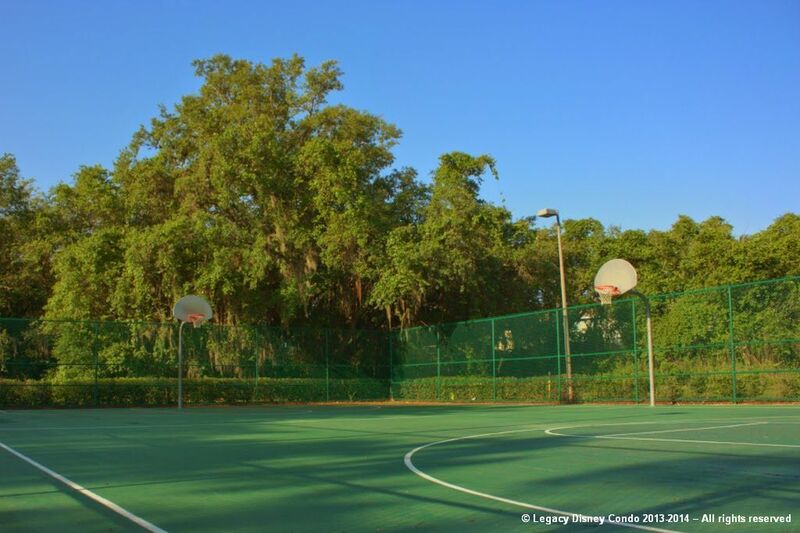 Legacy Disney Condo apartments have parking just in front of the building where they are located, and it is free. All the car parked show display a green tag issued by the condominium administration. We provide two tags, so you can park up to two cars. Please remember to return the tags when you leave! 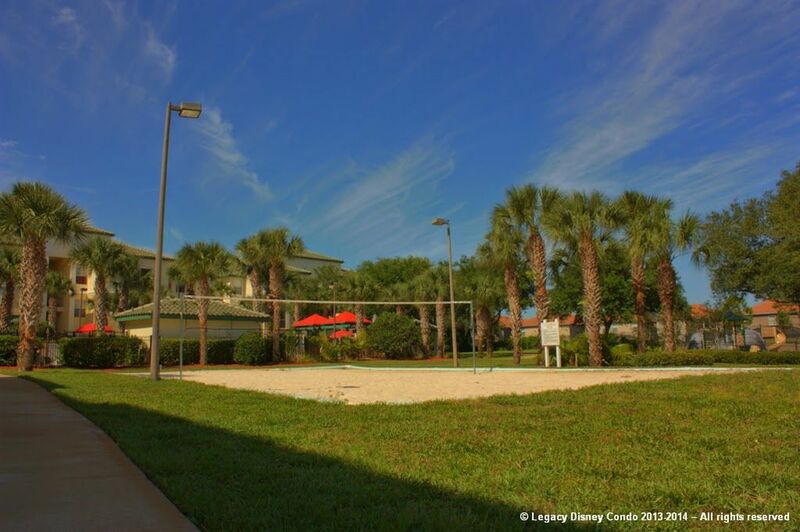 The area and the community is very quiet, and Legacy Disney Condo apartments are located in buildings that are mid distance to the pool area, that tends to be a bit noisy sometimes, so we can assure you a good rest. How far it is from the pool? Legacy Disney Condo apartments are not facing the pool, but they are not located in the farthest building either. You will need to walk some 300 yards to the pool, but on the other hand, your accommodation will be quietter. Do you have a property manager I can call if something breaks? We have a property management company that supports you in case of any emergency. Of course, we owners are at your service for any question or problem if you need to contact us. Phone numbers, as well as complete instructions on how to operate the different appliances are provided in a welcome folder you will find at the condo. Is there anything on the property we can't use? 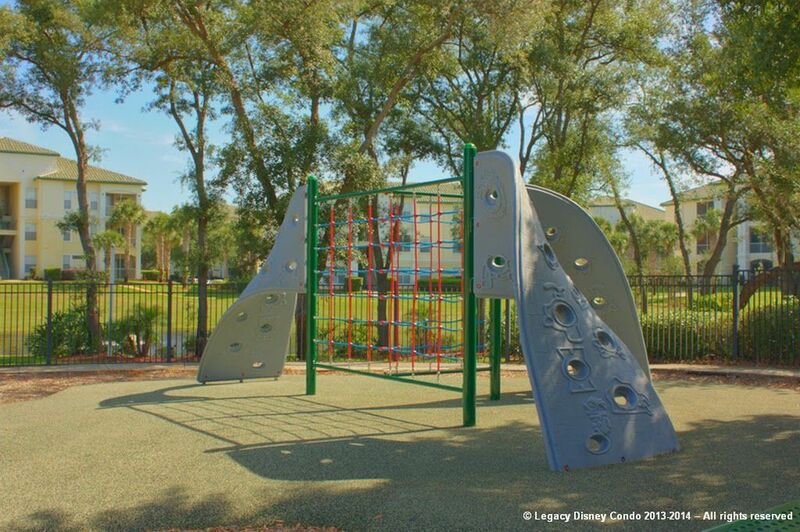 Everything at Legacy Disney Condo is there for your enjoyment. There is an "Owner's closet" labeled as such, and locked, that we ask you not to open. There is a standard move-out cleaning fee of USD 75 added to your balance payment. Our cleaning is mainly stripping and remaking of the beds with fresh linens, restocking fresh towels, light dusting, vacuuming and mopping of floors, cleaning and sanitizing bathrooms. We only ask our guests to leave the furniture in the original location, the kitchen clean and in order, no dirty dishes, oven or stove, to clear out refrigerator and empty dishwasher. Are there reliable instructions for the Wi-Fi? We provide a complete set of instructions, not only for the Wi-Fi access, but also on how to operate the various appliances at Legacy Disney Condo. These can be found on a welcome folder or in various signs posted in the apartment. Will the owners be visiting during my stay? Even if we and our property manager reserve the right to enter the rental property anytime, to solve any problem or emergency, we do not bother you during your vacations except if you require the property manager presence. We provide three different payment options, credit card, PayPay or wire transfer to our US bank account. On the first two, you do not have to share your financial information with us. We send an invoice from our PayPal account to your email, and by following a link in the email you can pay with your credit card (you do not need to have a PayPal account for this) or with your PayPal balance. For a wire transfer, we have to exchange bank information, of course. We had in the past guests from some south american countries that have some restrictions for international payments. In those cases we were able to find a solution acceptable by all. If this is your case, please contact us. Are there any additional charges beyond what is posted on the site? There are no additional charges. Everything you have to pay is clearly stipulated in the terms and conditions section and in the rental contract. If you have any question or concern, please contact us. Do I have to sign a rental contract or submit a security deposit? 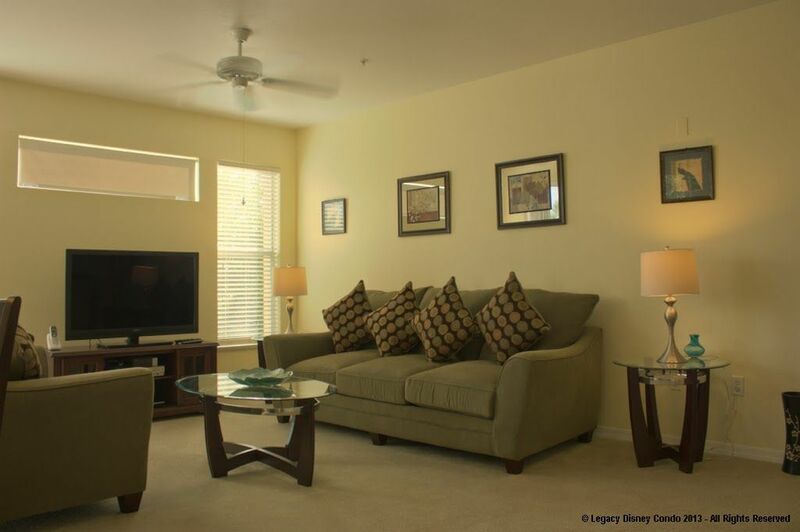 Once you decide to rent Legacy Disney Condo, visit our Book now! page, fill the required information, review and accept the Terms and Conditions document. Your acceptance is your electronic signature. You do not need to print, sign, fax or scan a paper copy. After receiving your acceptance, we will email to you, the payment instructions. Together with your final payment or 30 days before the rental starts, which is closer, you have to pay a security deposit. This will be refunded to you in full if there is no any breakage/damage to the condo and its content / equipment, extra cleaning fees or excessive use of utilities during your stay. The refund will be within 14 days after your rental ends. Do I pay in advance or on arrival? The full amount for the rental should be paid 60 days before rental starts. To book and reserve Legacy Disney Condo before the 60 days, a booking deposit of USD 200.00 plus tax per booked week or fraction thereof is required. Once you pay your booking deposit the rental fees are secured and will not be changed. If I pay in advance and my plans change, can my money be refunded? In the event that you cancel your booking for any reason whatsoever, the following charges will apply. To any reimbursement made to you, we will deduct the amount of USD 35 to cover bank fees. In all cases, every effort will be made to re-let the property and if this is achieved, only the deposit will be forfeited. Are there surcharges per guest if I have more than the typical two or four people in my party? The Great Legacy can accommodate up to six guests, two in the main bedroom, two in the second bedroom and two in the sofa bed in the living room. The White Dunes can accommodate up to four guests, two in the main bedroom and two in the second bedroom. The price published is for the condo, not per person. Will I be charged a cleaning fee or be expected to clean up myself? We charge USD 75.00 as a cleaning fee. Our cleaning is mainly stripping and remaking of the beds with fresh linens, restocking fresh towels, light dusting, vacuuming and mopping of floors, cleaning and sanitizing bathrooms. We only ask our guests to leave the furniture in the original location, the kitchen clean and in order, no dirty dishes, oven or stove, to clear out refrigerator and empty dishwasher. Legacy Disney Condo is a self-catering accommodation, daily maid service is not included. Are linens, towels, and toiletries provided? 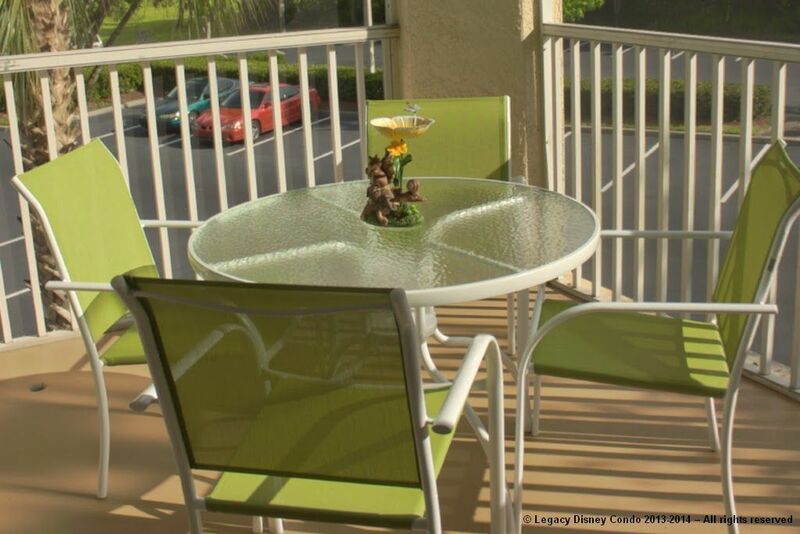 We provide all the linens and towels for up to six guests in The Great Legacy and up to four guests in The White Dunes, that is the maximum capacity of eachLegacy Disney Condo apartment. We do not permit any bath towels or linens to be taken from the units, however, there are beach towels provided that can be taken poolside and brought back. We also provide a welcome basket with basic toiletries that will help you the first hours with us, but as Legacy Disney Condo is a self catering accommodation, you are responsible for providing your own needs for the rest of your vacations. We fully understand how much you love your pet, but in order to accommodate guests with pet allergies we do not allow any pets. What is the temperature of the heated pool? The main pool of Legacy Dunes Resort is heated by two heat pumps and solar panels. This kind of heating, like any other pool heating system, cannot guarantee the actual temperature of the water in the pool. This is dependent on many factors, including the ambient temperature, general weather conditions and number of people using pool. In severe conditions, Legacy Dunes Resort management may not be able to activate the pool heating at all. We cannot, therefore, guarantee that pool heating will actually heat the pool water to a degree, comfortable enough to swim in. You must also be aware that, outdoor pool heating will at best, only take the chill off the water and heat it slightly. It will not take the temperature to that of an indoor tub or spa. At what age may I rent Legacy Disney Condo and sign your property rental agreement? We rent to family groups, couples and responsible adults. We will not rent to anyone under 25 years of age, and reserve the right to refuse any booking without explanation. The person checking in must be the qualified person who is renting the property. The qualifying person must show identification upon check-in. The qualifying person renting the property is responsible for the conduct of all guests and other occupants, and must occupy the property for the full term of the reservation. Do you collect a deposit or prepayment? To book Legacy Disney Condo up 60 days before your rental start date, a booking deposit of USD 200.00 plus tax per booked week or fraction thereof is required. Once you pay your booking deposit the rental fees are secured and will not be changed, except for any government decision. To secure your booking less than 60 days before the rental start date, full payment is required. You can check-in from 4PM to 8PM on your rental start date. Late check-in is possible up to midnight on the start date if previously arranged. Check-out is no later than 10AM on the last day of your rental. We need this time for making Legacy Disney Condo available to the next guest at the same quality standards you found it when you arrived. Is there Internet available at Legacy Disney Condo? We provide high speed Wi-Fi Internet. Instructions for connect to it are available in the welcome folder or in signs posted in the condo. Can I make long distance phone calls from the condo? Calls to continental US and Canada are provided free of charge from the condo's telephone. For overseas calls we suggest to use some Internet facility like Skype. Can we grill out on our balcony? Have a grill at the balcony is not allowed by the condominium rules and by the county and state fire safety regulations. What happens if there is a storm or inclement weather or if I decide to depart early? We cannot provide any refund for late check in or early depart based on your decision, or any "force majure" reason beyond our control, like inclement weather or flights delayed or cancelled. 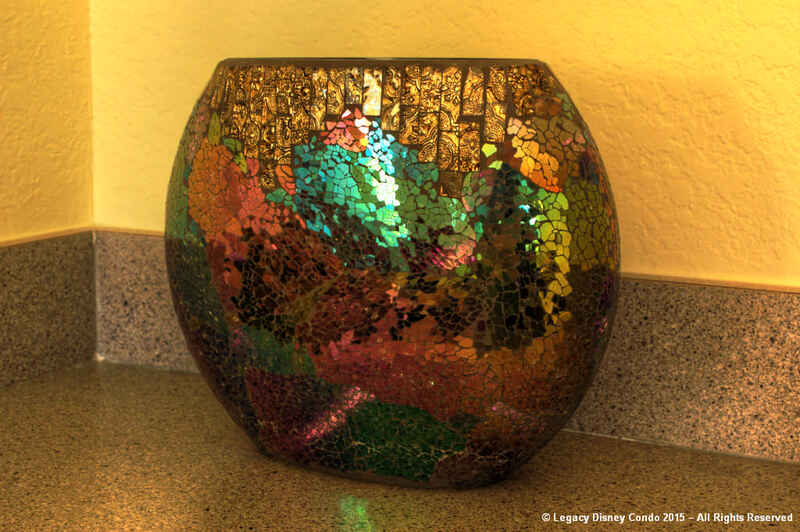 One week before your rental start date, we send to you an email with detailed instructions on how to get to Legacy Disney Condo. In the email we also include the codes for the car gate and the condo's front door electronic lock. You do not have to pick up the keys anywhere. On your last day you just need to be sure that all windows are properly closed, the car gate cards and parking tags were returned to its place, all appliances and lights are off, the safe is open, A/C temperature is set at the value recommended in the welcome folder, and most important, you are not leaving any personal property back. After that, lock well the main door and start your trip back home, nursing the good memories of your vacations at Legacy Disney Condo. Am I allowed to park an RV, camper, etc. at the condo? No. Campers, RVs and mobile units are not allowed in the condominium and may not be parked there for additional sleeping space. Is there any construction going on near Legacy Disney Condo? Florida (Orlando / Kissimmee) is a rapidly growing state and it is difficult to predict which areas are likely to be "construction free" at any given time. Legacy Dunes Resort where our condo is located, has been fully completed, however, we cannot guarantee that there will be no maintenance building work in the area. We will make every effort to inform you at the time you make your reservation if the development maybe undergoing any maintenance, at the time of your arrival. If this is a concern to you please discuss this with us and we will endeavor to describe the current state of affairs. What is the phone number at Legacy Disney Condo? The number is provided in the welcome folder you will find when you arrive to Legacy Disney Condo. Do both bedrooms have a TV? Yes, a 32" LCD TV and DVD player is provided in each bedroom with access to cable TV, plus a bigger LED TV and DVD player in the living room, also with cable TV. What is the tax rate applied to my reservation? State and county taxes apply to all rents and any additional fees and services except the security deposit. In Osceola the county tax is 6% and the Florida state tax is 7%. That makes for the 13% tax added to your invoice. 60 days before the rental start day. Do you sell tickets for Orlando theme parks? Where can I buy my tickets? We do not sell tickets for the theme parks, but we can give you some recommendations: When buying tickets, you have a few options. It is best to order them beforehand, either from a website specialized in ticketing or from the theme parks themselves. This way you don't have to wait in queues to purchase the tickets when you get there, you can budget your money more efficiently, and sometimes you even make a few savings. You can, of course, wait until you're there. If you're doing this, buy them from the parks themselves! I guess the only advantage of waiting until you're there is that you can buy single-day tickets (you rarely save any money if you buy single day tickets online) and you can just do whichever parks you feel like doing at the time, only spending that much. But - if you do want to wait until you're in Florida before ordering your tickets, there are LOTS of people who will want to con you. Several places offering discounted tickets (through hotels etc) will require you to attend a 3-hour (or longer) high-pressure timeshare seminar, only giving you your tickets at the end. Of an even more unscrupulous nature are people who buy partially-used tickets and then sell them, telling people that they work. You cannot use a ticket that has been used, even partially, by another person. Personally, we would definitely book online, just make sure the website is good. If you plan to visit Disney and Universal Studios, you should be able to get a ticket giving you access to BOTH Universal and Islands Of Adventure for two days, plus a four-day Disney ticket giving you access to Magic Kingdom, Epcot, Hollywood Studios and Animal Kingdom. A quick word of warning - ensure that you are sent the tickets. Some places just promise a "voucher" to redeem in Orlando, which can be a fuss and sometimes an outright con. With the genuine tickets, you just go to the parks and use that. How close is the condo from the theme parks?